Gents White Dial Quartz Watch MTP-V002G-7BUDF is well-designed to add charm to our overall appearance. It has an analogue display with quartz movement for precise time. Its white coloured dial complements the all-round gold colour in an amazing way. This watch is very attractive so can be used to dress up any outfit. It has a bracelet type strap and jewellery clasp for proper fit. 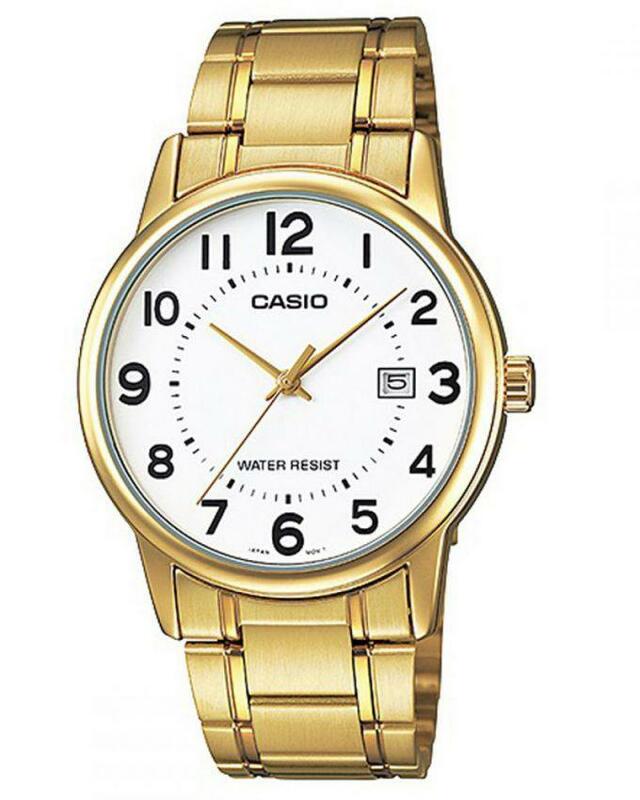 This lovely watch by Casio can be worn with both formal and casual outfits. It has a round shaped case and Arabic markers. Its classic and simple design will make it one of your most important accessories. 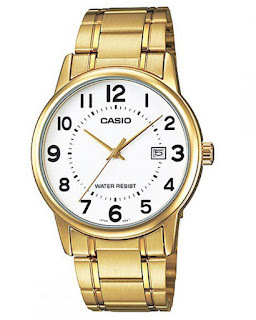 Casio Gents White Dial Quartz Watch is made of the finest steel which offers rust resistance. It will retain its good look for a long period of time. Men of all ages can use this watch to make bold fashion statements. It can be worn all year round and to a wide range of places. Get an ultra-stylish look with Casio Gents White Dial Quartz Watch. You are sure to get lots of compliments every time you wear it. It is more than just a watch for telling time as it has been designed to enable you finish off both your casual or formal look. Buy Casio Gents White Dial Quartz Watch MTP-V002G-7BUDF-Gold on Jumia at the best price in Nigeria.